When I work on a bill, I analyze the different provisions and associated fiscal notes, and follow it through the Capitol: committee hearing, second reading, third reading, floor votes, until it either meets its end or is passed and signed into law. It’s a highly detailed process, so I can see why it may feel overly complex and unapproachable to most. However, legislation has clear and lasting effects on people’s day-to-day lives, and when I have the opportunity to see the direct connection—well, that’s why I do what I do. This was especially true recently, as we participated through All Kids Covered in the national movement to secure the next two years of the Children’s Health Insurance Program (CHIP). Funded and authorized through the federal government, and administered at the state level, CHIP is health insurance for children whose families earn too much money to qualify them for Medicaid, but often cannot afford private insurance. Colorado’s CHIP (also known as CHP+) covers roughly 50,000 children. As of the beginning of the year, CHIP had been authorized by federal law until 2019, but was only funded until 2015 unless Congress took swift action. Children’s advocates from all over the country, including Colorado, lobbied their Congressional delegation to move quickly to secure funding so states could continue their CHIP programs. We reminded them of why the program was important, using stories like the ones we collected from six Coloradans, who personally experienced the value of CHIP and understood what it would mean to lose this coverage. “That’s just something I’m not willing to go without for my kids…it’s too important to their future,” shared Tracey Hutchison, a Castle Rock mom. “It’s the only reliable mechanism we have for connecting a kid with health care,” said Dr. Aaron Gale, a Denver family medicine doctor. “I don’t even want to think about what that could do to us…that’s really scary,” said Angela Miller, a Thornton mom. “It seems these families are walking a very fine line,” agreed Dr. Christina Suh, an Aurora pediatrician. “I just don’t know how much longer we can hang on,” said Gerilynn Meyer, a Clifton grandmother and guardian to her 12-year old grandson. Every family we interviewed faced different circumstances, and the providers we spoke with each saw a different patient population, but they all shared the same sentiment: CHIP is a critical safety net that protects kids’ health. For these families and many, many others, CHIP is the only health insurance option, and it’s a good one: it’s affordable and it covers the health care services they need. 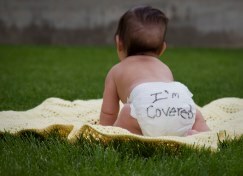 It’s peace of mind that their child is covered in case of an illness or injury. It’s security that medical bills from their child’s health care won’t bankrupt their family’s future. Thankfully, Congress acted. In April of this year, President Obama signed H.R. 2 into law, which secured financing for the CHIP program until 2017. This isn’t a complete solution, as the final two years remain unfunded, but it’s a positive step forward. CCMU and All Kids Covered are working hard to figure out next steps, with those thousands of Colorado families that could be affected on our minds. As complex and often frustrating as the policy process might be, its these stories that remind us why it’s all worth it.